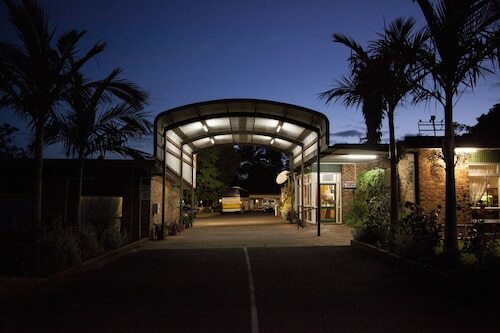 Situated in Bridgetown, this motel is within a 15-minute walk of Bridgetown Civic and Community Centre, Bridgetown Visitor Information Centre, and Memorial Park. Blackwood River Park and Pioneer Park are also within 1 mi (2 km). 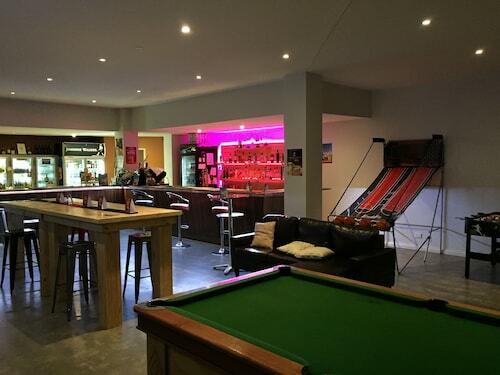 Situated in a rural location, this guesthouse is within 3 mi (5 km) of Bridgetown Civic and Community Centre, Bridgetown Visitor Information Centre, and Memorial Park. Pioneer Park and Blackwood River Park are also within 3 mi (5 km). 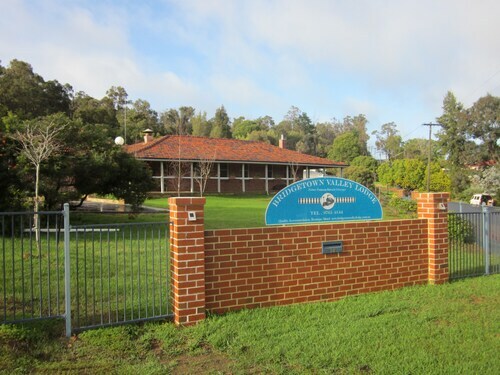 Situated in Bridgetown, this motel is within 2 mi (3 km) of Blackwood River Park, Bridgetown Civic and Community Centre, and Bridgetown Visitor Information Centre. Memorial Park and Pioneer Park are also within 3 mi (5 km). 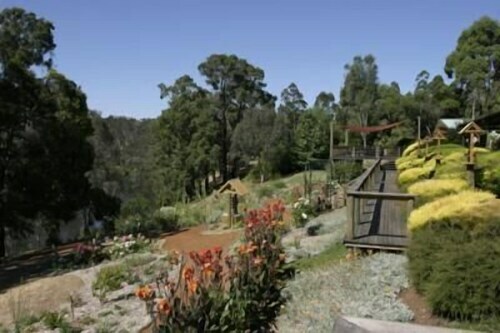 Situated in a regional park, this bed & breakfast is within a 15-minute walk of Bridgetown Civic and Community Centre, Bridgetown Visitor Information Centre, and Memorial Park. Blackwood River Park and Pioneer Park are also within 1 mi (2 km). Situated in Bridgetown, this romantic guesthouse is within a 15-minute walk of Blackwood River Park and Bridgetown Civic and Community Centre. Bridgetown Visitor Information Centre and Memorial Park are also within 1 mi (2 km). 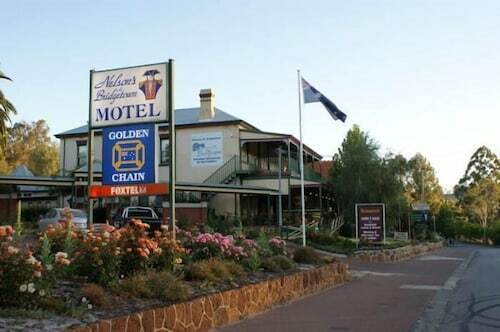 In the southwest region of Western Australia, Bridgetown is nestled among the hills of Blackwood River Valley. The unique blend of old world charm and modern day facilities make it an ideal weekend retreat, so find a great hotel in Bridgetown and take some time out today. Tranquility, great hospitality and breathtaking views make Bridgetown the perfect place for a stopover, or as a base to explore the southwest delights of Australia. 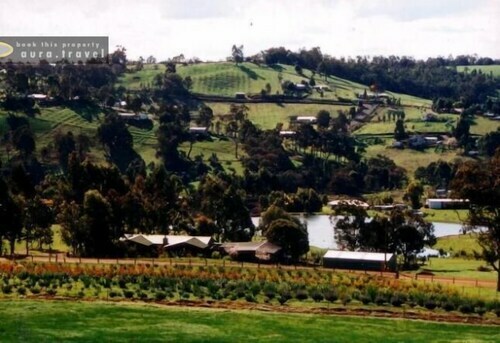 Once the apple growing centre of the state, Bridgetown is now most famous for wonderful scenic drives, rolling hillsides and forests, as well as the longest continually flowing river in the state, the Blackwood River. The town itself has a lovely rustic charm. Surrounded by woodlands you have a great choice of cafes and restaurants to ensure you are never hungry. Take a drive through Blackwood River Valley stopping in to enjoy freshly picked fruits, and many antique stores to pique your interest. Meandering past rivers, undulating farmland and stunning Jarrah forests, you can choose drives from three to 113km in length. Explore the heritage listed buildings in Bridgetown with a guided walking tour through the centre of town, and don't miss St Paul's Anglican Church. Investigate the first home built in the area and its beautiful gardens - both have been stunningly restored and maintained. Festivals make up a big part of local life and Bridgetown is famous for many long-running special events. The Blackwood Marathon Relay (October), Blues at Bridgetown Festival (November), and the Blackwood Classic (September), which is the longest powerboat race in the world, will ensure there is something for everyone. Not to be missed is the Festival of Country Gardens, with over 50 different beautiful gardens on display. Located 270km south of Perth, Bridgetown is home to a vibrant community of artists, musicians and craftsmen, ensuring that every visitor will find something to love about this little town. Find your Bridgetown accommodation and plan a trip that around one of the great festivals here. You are sure to love it! How Much is a Hotel Room in Bridgetown? Hotels in Bridgetown start at AU$77 per night. Prices and availability subject to change. Additional terms may apply. 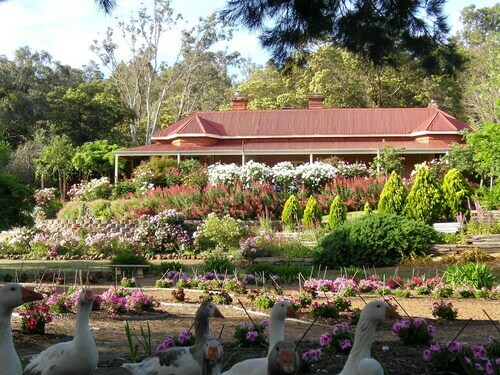 We needed to stay at Menjimup to see relatives. The motel was idealky located and was all that could be expected. It was showing its age but staff were peasant and the complintary breakfasts weee fine. I woukd use it again.